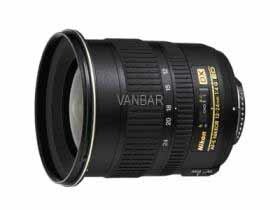 The new lens, which offers a focal range of 24-120mm only available from Nikon, and incorporates advanced features such as SWM (Silent Wave Motor) and VR (Vibration Reduction), is even smaller than its predecessor, the AF Zoom-Nikkor 24-120mm f/3.5-5.6D IF. The AF-S VR Zoom-Nikkor 24-120mm f/3.5-5.6 IF-ED was developed in response to the demands from mid- and higher-range SLR users for a more affordable, highly portable high-power VR zoom lens. Closest focusing distance 0.5m/1.6 ft.